Under Kathy’s leadership as President of TOC for Education since 1995, the TOC communication tools have been taught in over 20 countries, impacting over 8 million children and their mentors. Author of 4 children’s books, her training workbooks are translated into 8 languages. 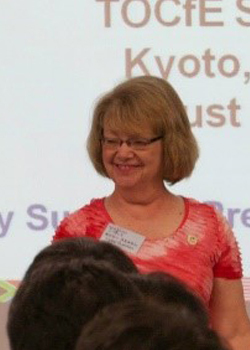 Kathy has received extensive experience in the art of teaching and learning from her students on 6 continents, ranging from young children to Ministers of Education.